In today’s bustling world we are constantly surrounded by media hype about “Weight Loss” and “Calorie Controlled Diets”. As a Nutritional Therapist, I am often asked “How many calories are too many?” The simple answer to this question is that we are all individuals, and we all require a different amount of calories per day. By following the four steps outlined below, you can determine exactly how many calories you need to consume on a daily basis in order to maintain a healthy and balanced diet. This will give you the amount of calories you need to consume on a daily basis. The next item that is taken into consideration is your activity level. This is based on your occupational activity level and your non-occupational activity level. For example if you work in an office all day then your occupational activity level will be light. If however, you take some form of exercise in the evening this will be a non-occupational level of moderately active. See below for details. To calculate the amount of calories required based on your activity levels multiply your daily calories as per step 1 by the number in step 2. For those wishing to lose or gain weight, the amount of calories required per day will need to be increased or decreased. The best way of doing this is to subtract 500 calories from your daily intake for weight loss and add 500 calories to your daily intake for weight gain. 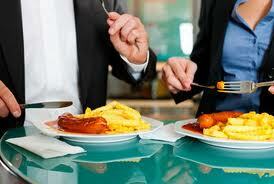 By reducing your calorie intake by 500 calories per day this will allow you to lose 500 grams (1lb) per week. Always remember if weight is lost slowly you are more likely to maintain the weight loss. Crash dieting is not the answer. The final step in this process allows you to calculate how many grams of fat your daily calorie intake should have and how much should be carbohydrates. No more than 35% of the calories consumed on a daily basis should be made up of fat. To calculate this, multiply your calories per day by 0.35 and divide the answer by 9. This will give you your grams of fat per day. At least 50% of the calories you eat should come from carbohydrates. To calculate this, multiply your calories per day by 0.5 and divide the answer by 3.75. By following these four steps you now have the exact amount of calories you should be consuming on a daily basis. You will soon be losing your unwanted weight and maintaining a healthy and balanced diet in the process.